Liverpool were frustrated by a resilient West Ham United, who showed tremendous fight to gain a 1-1 draw at London Stadium. The result means the Reds are now three points ahead of rivals Manchester City in the Premier League title race. The hosts started in a lively manner despite their recent poor form, and had the pick of the early chances. 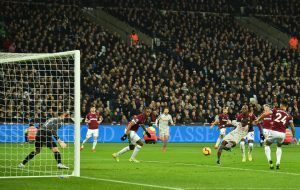 Javier Hernandez forced Alisson Becker into a diving save and dragged an effort wide, while Aaron Cresswell also drove one narrowly past the post from 25 yards as the Hammers started on the front foot. However it was Liverpool who scored first, through Sadio Mane. It was somewhat fortuitous as James Milner was played in while well offside, but the skipper pulled back for Mane who turned inside the box and finished clinically to open up an important lead. 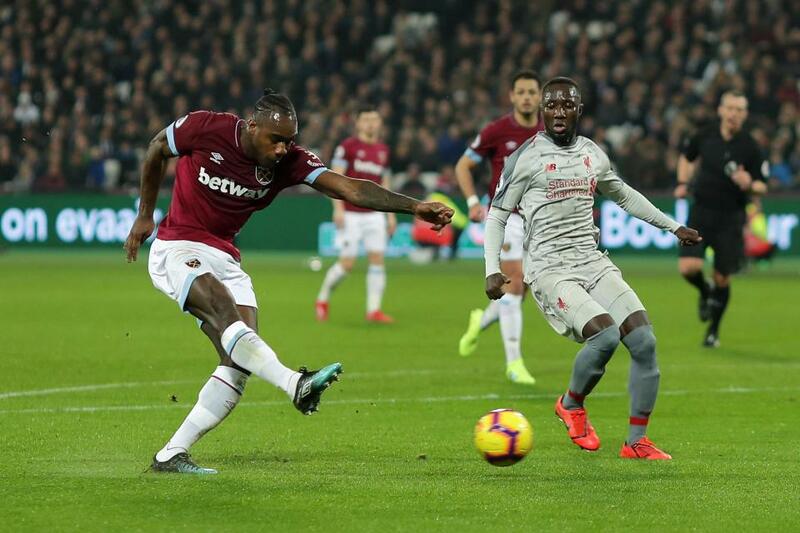 It did not last long, with a cleverly worked free-kicked from Felipe Anderson sliding the ball past the wall for Michail Antonio, who managed to find the far corner with the Liverpool defence caught sleeping. Naturally, Jurgen Klopp’s side ramped up the pressure on the Hammers as nerves began to creep in down in the East End. But, despite appearing to be another offside yet again, Divock Origi failed to convert when played though by Naby Keita in the last minute of added time. Although he can sometimes be accused of going missing in games, Felipe Anderson proved yet again he has the capacity to be West Ham’s talisman in the place of Marko Arnautovic. With the Austria international failing a late fitness test, Anderson was expected to be the Hammers’ main out ball when the pressure became too much. Positioned on the left hand side, Anderson carried the ball exceptionally well and was willing to cut inside and take a foul if a pass was not on. After one linesman failed to spot James Milner in an offside position in the first half, the other linesman then failed to see Origi in an offside position as he fluffed the last kick of the game. Had the ball gone in, not only would West Ham have felt completely aggrieved, Manchester City and Tottenham Hotspur would have been particularly annoyed. At this stage in the season, the difference between three and five points at the top is crucial and those two points may well be pivotal in this tight title race.